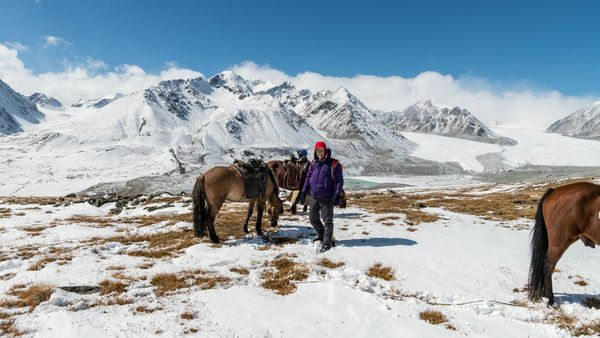 For those of you not watching football yet I will post a few photos from a trip my wife and I took in September to remote western Mongolia. 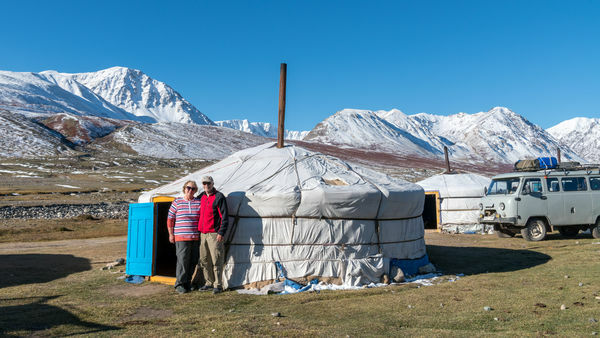 We spent two weeks living with Kazakh eagle hunter nomads, either in tents or their Gers (same as Yurt). They are amazing people and it was so desolate yet beautiful region. We were also high into the Altai Mountains near the Russian border. No plumbing or toilets for 10 days! 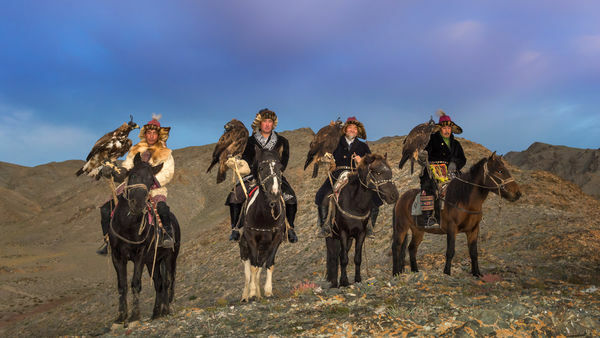 This trip is not for most people but I think the centuries old custom of capturing, training, and hunting with golden eagles will gradually be lost as each younger generation changes and leave the nomadic life style. 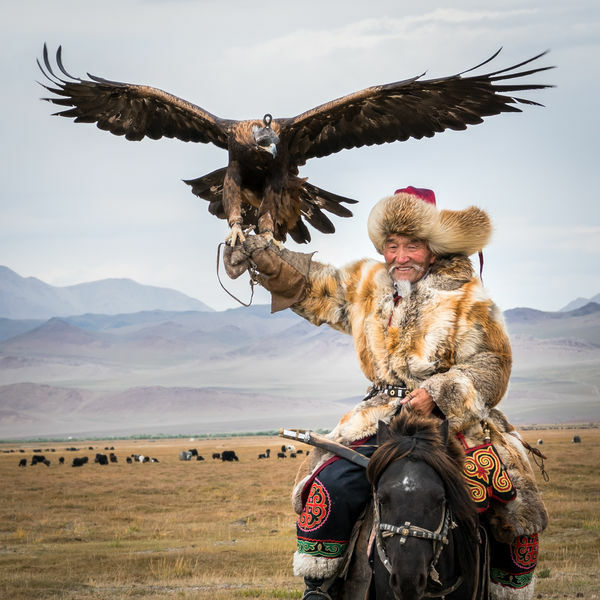 The last 2 days we were at a wonderful "Eagle Festival" where there were many competitions. Thanks for taking us there. Especially numbers two and five. Great set. Not something you see everyday. Oh, my! Thank you for showing us a new experience! Wonderful set! I just recently watched a documentary on tv about the eagles and the natives. I believe one of pictures had the same man on the show. There was a young lady I believe that was from Arizona that is one few or maybe only women that is trained and qualified to hunt with a eagle. By the way a great set of pictures. Incredible adventure and you got some supershots. Magnificent series, gunflint...thanks for sharing. Looks like one fella took quite a tumble!! Really outstanding! Thanks for sharing these. I think that was 60 minutes a few weeks ago. It was totally false information and bad reporting. The fact is, the girl in my photo #6 is now 18 years old. 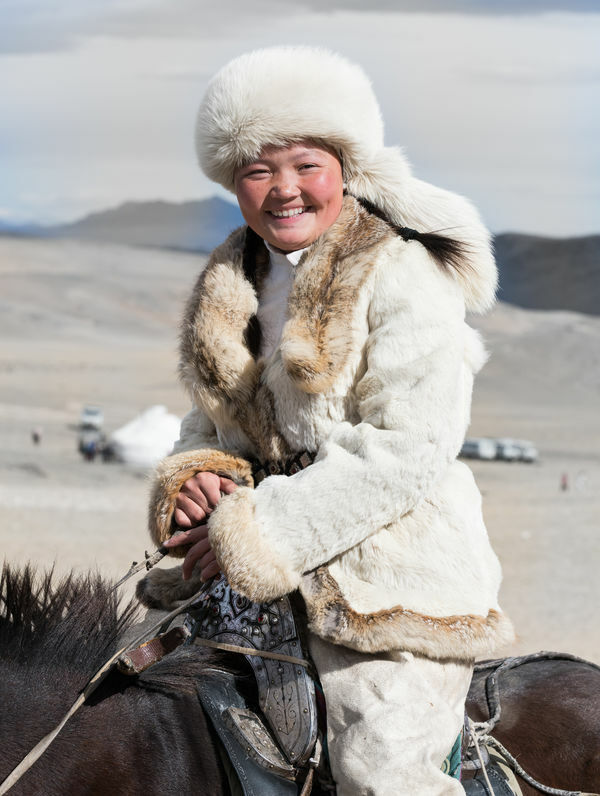 When she was 13, her father trained her and she actually won the Eagle Hunter Festival that year. She was the only female to ever enter the competition at that point and she continues to be involved every year. We saw her win this competition where she called her eagle from a far distance and it was the fastest time of any eagle in the competition. If you are interested there was a nice movie made about her being trained and in the competition. 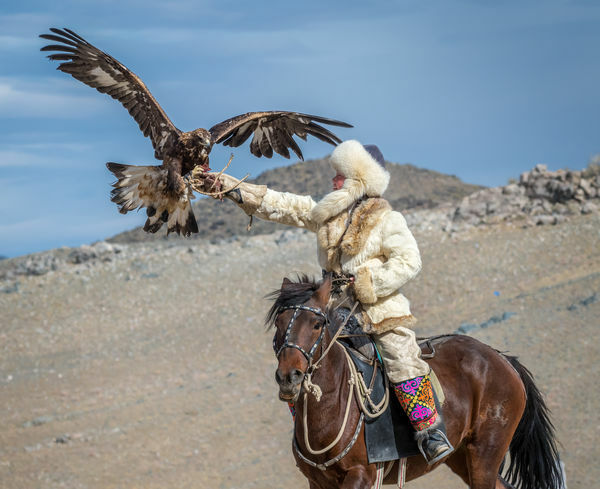 It is called The Eagle Huntress. 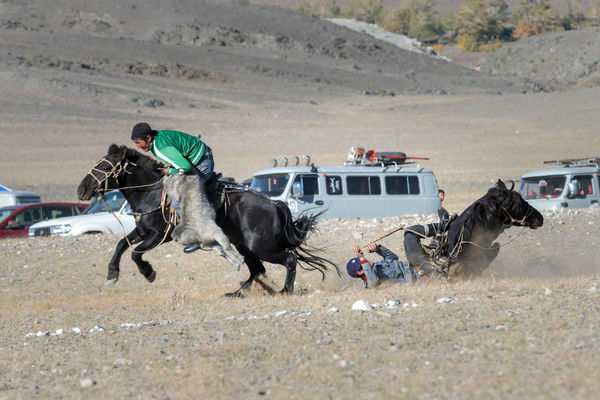 Yes, his horse fell, did a summersalt, rolled over, and the guy was still in the saddle when the horse got back on it's feet! !